It’s true, asphalt shingles are a popular choice for mobile home roofs but the problem with shingles is extreme heat can cause them to come loose or crack and lose their color over time. 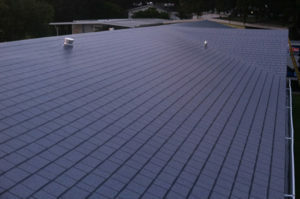 Shingle mobile home roofs look nice, but if you want to look at other options, consider getting a TPO Membrane roof. Find out what TPO roofing is and how TPO roofing is installed. We have two types of shingles from IB Roofing Systems we general install, they can be found here: Mobile Home Roof Over Systems. 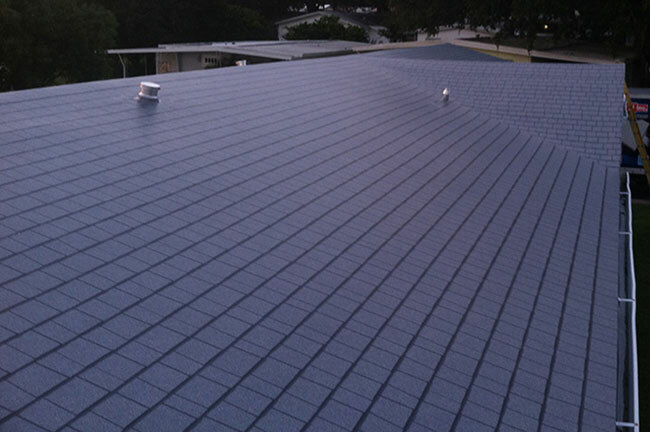 Our most energy efficient roof-over system is the TPO Roofing System. By choosing a white single-ply TPO Membrane roof-over you’ll be saving yourself up to 30% or more on your energy bills every month. TPO is energy efficient, durable and it comes in various styles to suit the needs of the home and the homeowner. Find out why TPO is the number one commercial roofing material today and how it saves money on energy costs. How Long Does An Asphalt Shingle Roof Last? The average shingle roof last about 13 years or so, depending on the environment. The benefit is it costs less to install, and may look prettier, than say, a steel roof which may last 40+ years, but has a higher upfront cost of installation. How Much Does A Shingle Roof Cost? Depending on the type of shingles you want, which come in all different colors and shapes, and slightly different material, shingles can range from about $4-$8 per square foot. So if you have a 700 square foot mobile home, you’d be looking at about $3,500. Installing a shingle roof is usually not recommended as a one man job and usually takes a few days for 2-3 men on a 700 square foot roof for a mobile home. Our top recommendations for most mobile home roofs are TPO membrane roofs. Call All Weather Roofing at 1-800-297-3758 today and get a free video roof inspection and estimate.